Put life back in your life. 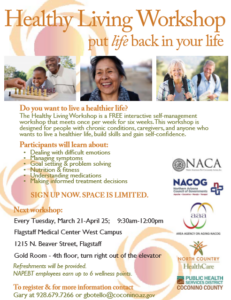 If you know someone who has a chronic condition, or cares for someone with a chronic condition, please inform them about this FREE class. NAPEBT employees earn up to 6 wellness points.